With only weeks away until Christmas, we’ve been busy getting all our final metal roofing projects underway for the remainder of the year. 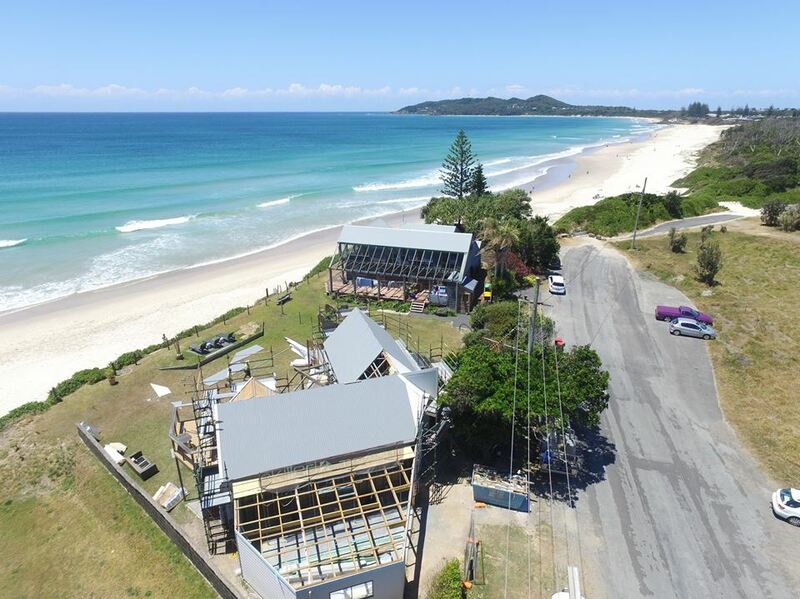 We’ve enjoyed getting stuck into a new roof for a Belongil beachfront property in Byron Bay. It’s not often we get to work right next door to a completed Skilled Roofing Byron Bay roofing project. Especially above the sand dunes of Belongil Beach. Needless to say, we’ve been thankful for a beachfront advantage, with those cool ocean breezes giving a welcome respite to the summery conditions last week. Thanks to the Skilled Drone, we captured some pretty spectacular aerial footage up and over the new beachfront roof and beyond – which you can view on our Facebook page. Thinking about a new roof? Talk to us about how we can help with your next Byron Bay roofing project.